Suzuki India has been operational in India since February 2006. Suzuki Motorcycle India Pvt Ltd has launched the BSIV compliant Suzuki Hayate EP and Suzuki Let’s. The company also officially announced that their entire two-wheeler range in India is now BSIV compliant. The Suzuki Hayate EP BSIV gets updated graphics and is priced at INR 52,754 (ex-Delhi). The Suzuki Hayate EP is a 110 cc motorcycle which gets SEP technology. The commuter gets Suzuki Super Sleek Piston, high-ignition spark plug and low friction cylinder & piston rings. The graphics have been updated and the bike now gets a diamond frame. The Suzuki Hayate EP also gets features like a maintenance-free battery, tubeless tyres and a 5-step adjustable rear shock absorber. Powering the Suzuki Hayate EP is a 113 cc air-cooled, single cylinder mill coupled to a 4-speed gearbox. The engine is capable of producing 8.7 PS of maximum power at 7,500 rpm and 9.3 Nm of peak torque at 5,000 rpm. Colour options include Pearl Mira Red, Metallic Oort Grey and Glass Sparkle Black. The BSIV Suzuki Hayate EP has been priced at INR 52,754 (ex-showroom, Delhi). The Suzuki Let's gets a new graphics design with prices starting at INR 47,272 (ex-Delhi). 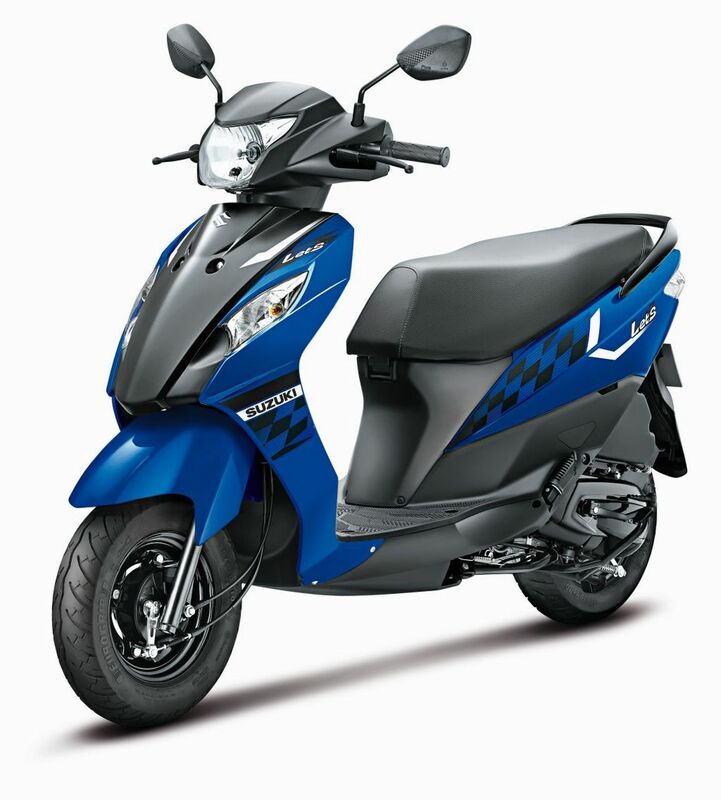 The Suzuki Let’s is Suzuki’s answer to the Honda Activa. The automatic scooter gets dual tone colours with a sticker update. Features include tubeless tyres, telescopic suspension, dual colour meter console, maintenance free battery and central locking. It also gets optional storage box and mobile charger. At the heart of the Suzuki Let’s is an 112.8 cc air-cooled mill coupled to a CVT gearbox. The BSIV engine is capable of producing 8.56 PS of maximum power at 7,500 rpm and 8.8 Nm of peak torque at 6,500 rpm. Colour options of the BSIV compliant Suzuki Let’s include Matte Grey/Matte Black, Pearl Suzuki Blue No2/Matte Black, Pearl Mira Red/Matte Black and Pearl Mirage White. 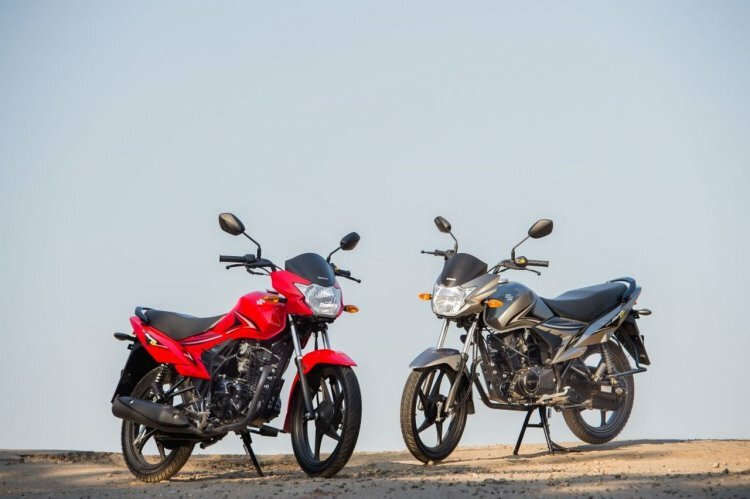 The BSIV S0uzuki Let’s has been priced at INR 47,272 for the monotone option and INR 48,272 for the dual colour trim (both prices ex-showroom, Delhi).